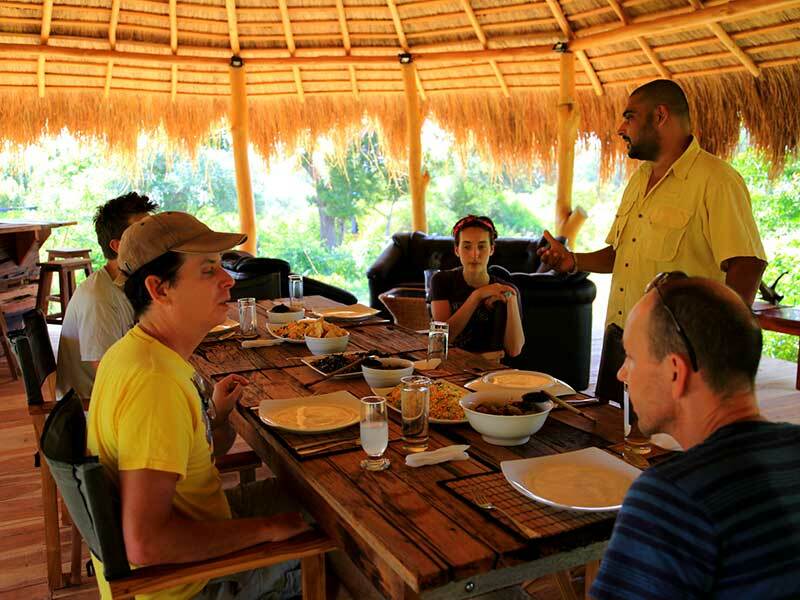 If you are looking for an authentic wildlife experience that involves sleeping under canvas in complete luxury amidst scenic jungle settings, dining under the stars to the sounds of a crackling campfire, enjoying fresh local food while sipping chilled beer, engaging in interesting bush walks, meeting with the locals and most significantly experiencing the best of Sri Lankan wildlife while on safari with our expert wildlife guides… get excited for you have found your perfect wildlife travel partner in Sri Lanka! 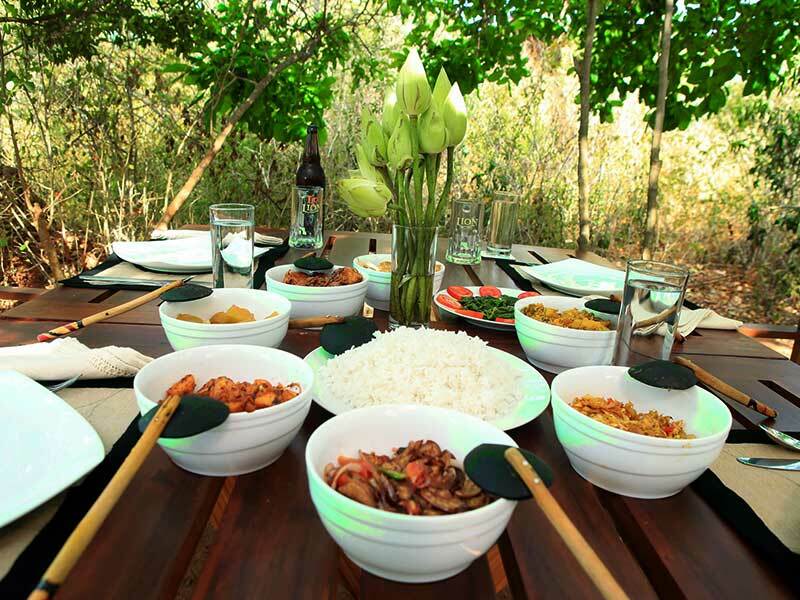 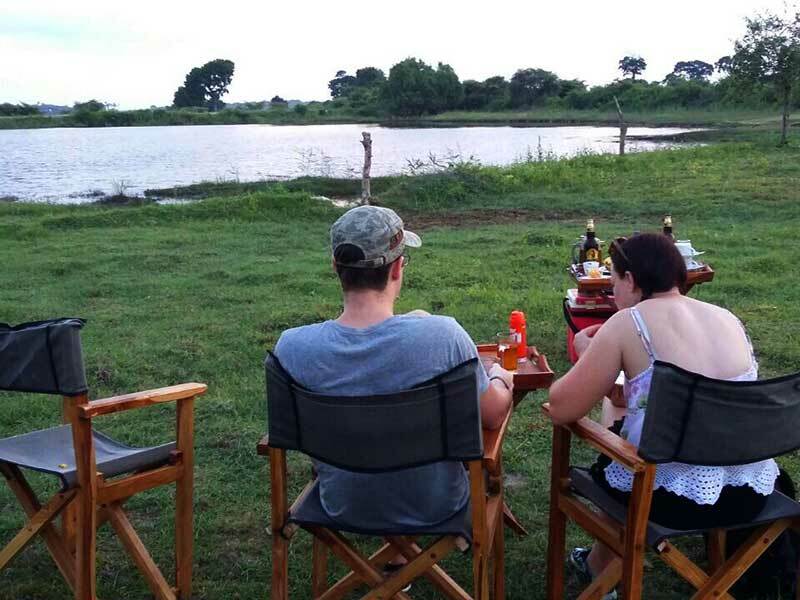 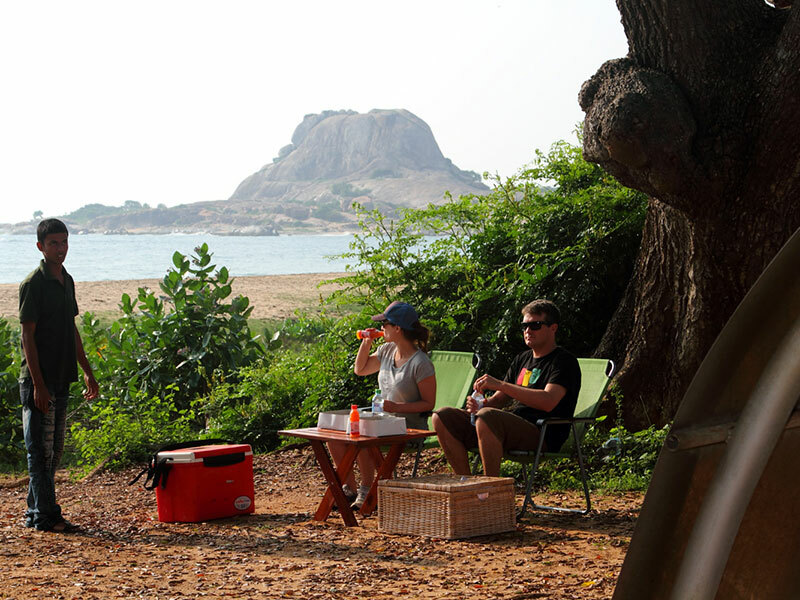 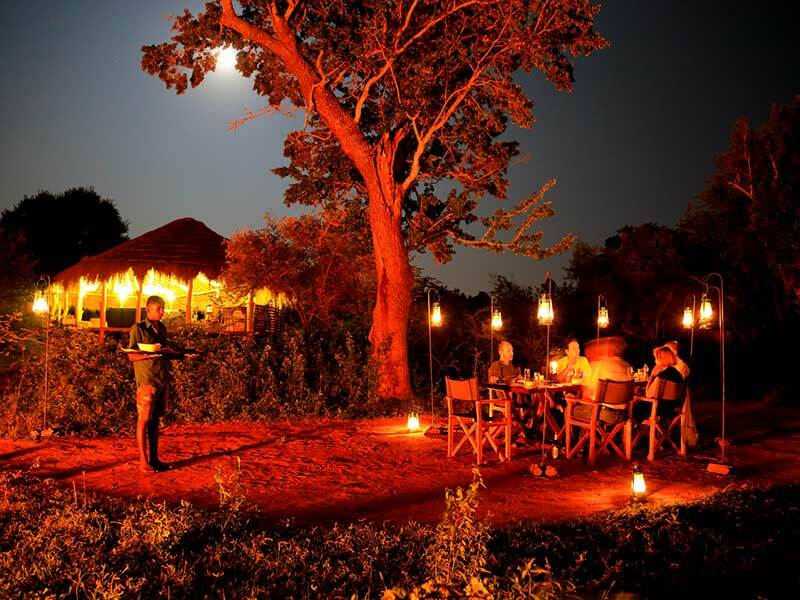 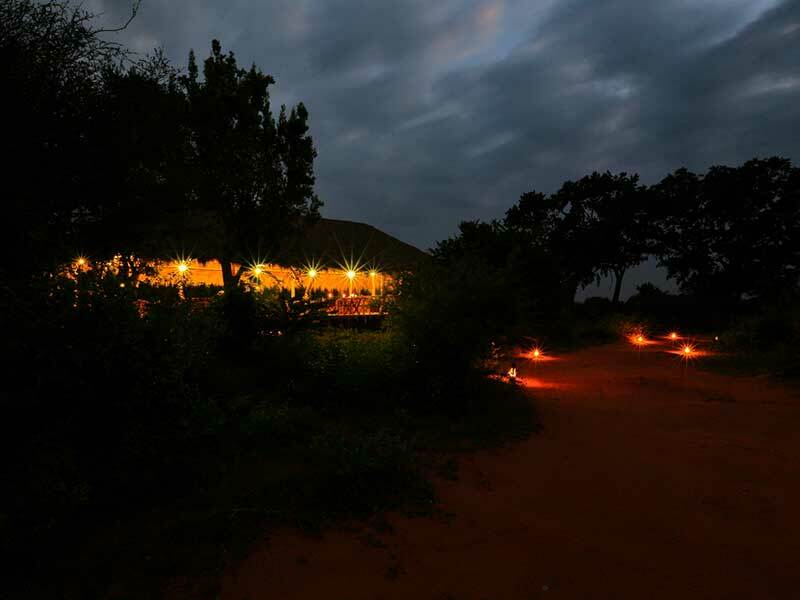 Our all-inclusive Safari Camping Experience is one-of-its kind! 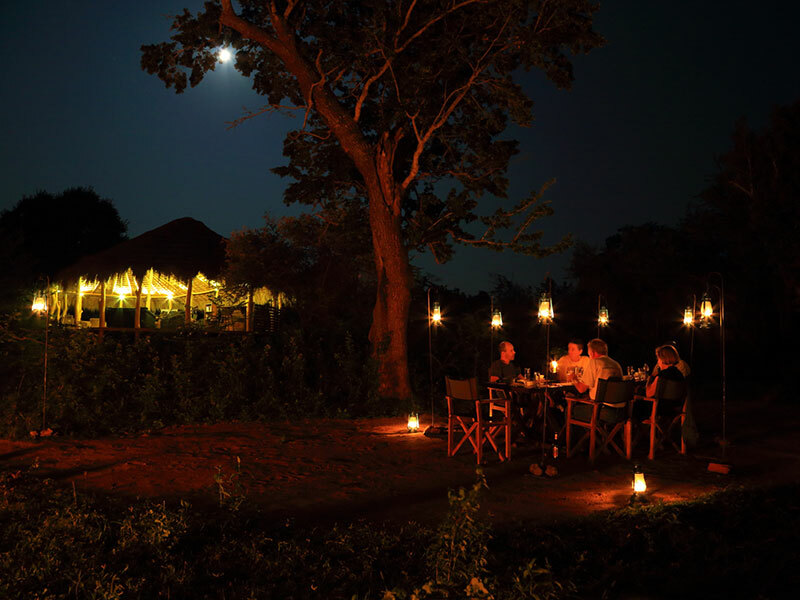 Your stay, be it one, two, three or four nights will include tented accommodation, freshly cooked authentic Sri Lankan cuisine, snacks during safaris and excursions, chilled beer, tea/coffee, guided safari game drives and all park related fees. 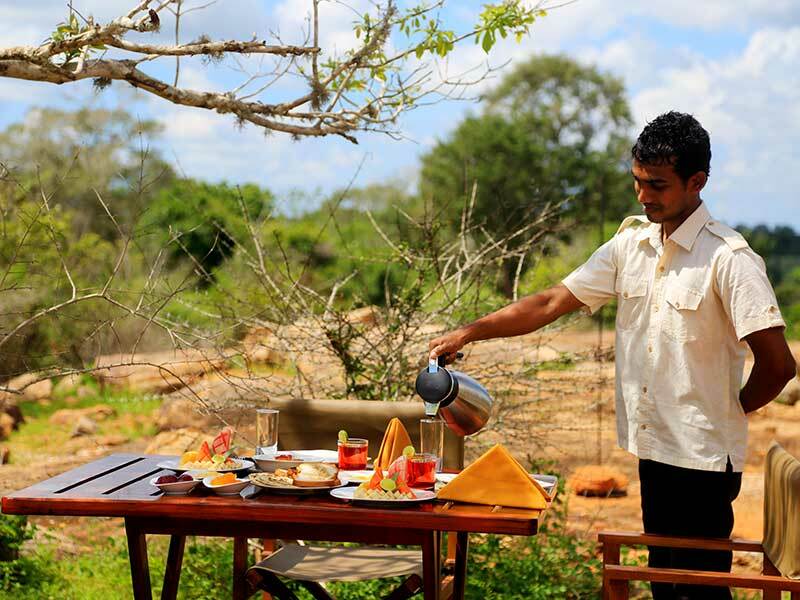 If you think you want to stay longer or have it customized just let us know and we will gladly arrange it for you. 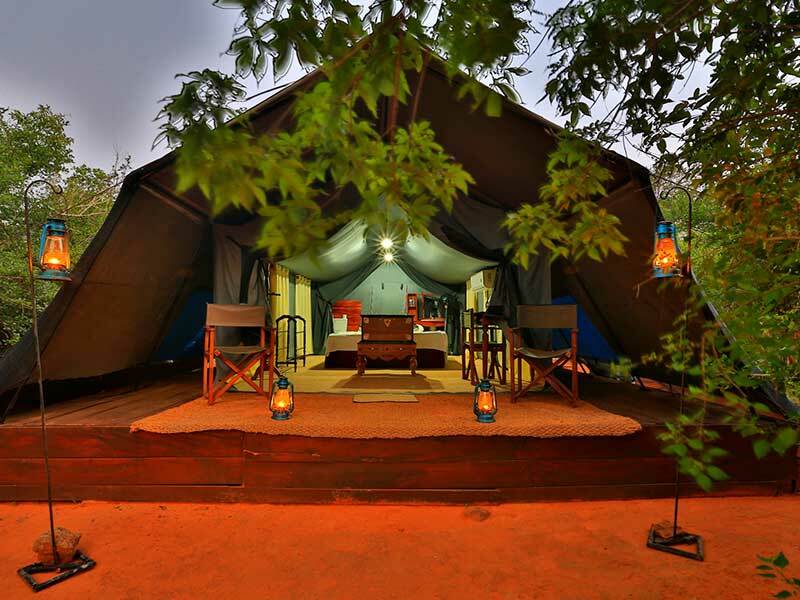 Our spacious and air-conditioned tents come with all amenities including ensuite bathroom with flushable toilets and shower. 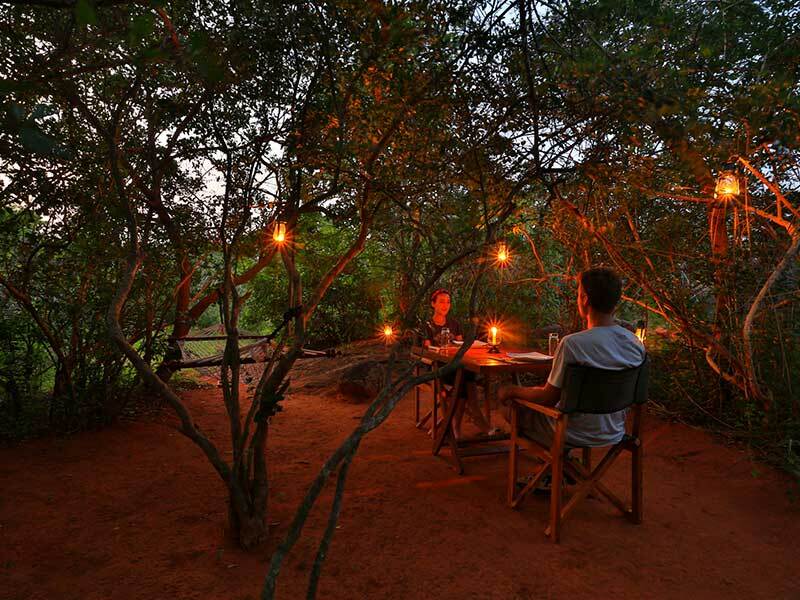 Hidden away amongst the thick greenery you are not only assured of total privacy and peace and quiet but also a true ‘nature at your doorstep’ experience.